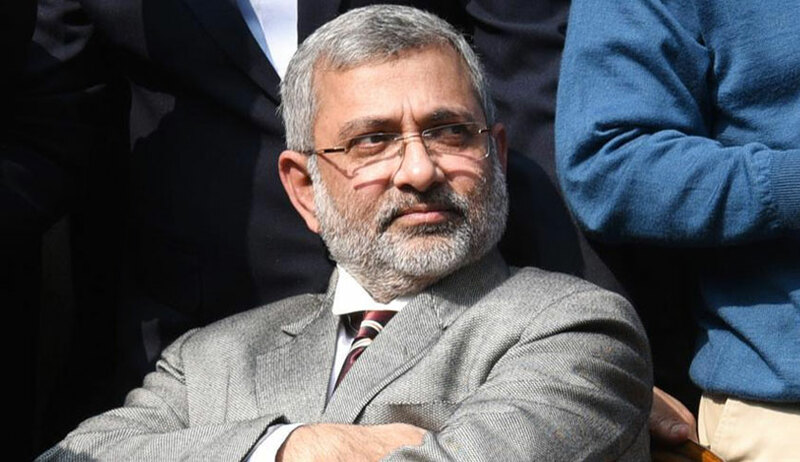 Much similar to the concerns raised by Justice Chelameswar in his letter last month, Justice Kurian Joseph has now stepped forth censuring the Government for sitting on the collegium’s recommendation to elevate Senior Advocate Indu Malhotra and Chief Justice of Uttarakhand High Court, Justice K.M. Joseph. In a letter addressed to Chief Justice of India Dipak Misra, Justice Joseph has highlighted the fact that never before has the Apex Court not been made aware of the developments on a recommendation even after three months have elapsed. According to an Indian Express report, the letter seeks an urgent intervention into the situation, stating that "if there is no normal delivery on completion of the gestation period, what is urgently done is a Caesarean section. Unless such a surgical intervention is made at an appropriate time, the child in the womb dies." The letter, a copy of which has been sent to the other 22 Supreme Court Judges as well, calls the Government's actions an "abuse of power" and a threat to the independence of the judiciary. It further asserts that this would send a "wrong message" to Judges that they would "suffer" if they don't tow the Centre's line. While not spelling it out explicitly, this seems to be a reference to the delay in elevation of Justice K.M. Joseph, who had in April, 2016 ruled against the Centre while examining the imposition of President's rule in Uttarakhand. Justice Joseph therefore, asserted that the "very life and existence" of the Supreme Court is under threat and "history will not pardon us," if the court doesn’t respond to the Centre sitting on the two recommendations. He has now urged CJI Misra to establish a bench of seven senior-most Judges to take up the issue suo motu on the judicial side, relying on the stance adopted by the Court in Justice C.S. Karnan's case. Justice Chelameswar had also written a letter to the CJI last month, calling for a full court on the judicial side to discuss the matter of government interference in appointment of Judges to High Courts. More particularly, he had condemned the practice of the Centre directly communicating with the High Courts, and had asserted that "bonhomie" between the Judiciary and the Government "sounds the death knell to Democracy". He had written, "We only have to look forward to the time, which may not be far-off if not already here, when the executive directly communicates with the High Courts about the pending cases and what orders to be passed. We can be happy that much of our burden is taken away. And an Honorable Chief Justice like Dinesh Maheswari may perhaps be ever willing to do the executive bidding, because good relations with the other Branches is a proclaimed constitutional objective." The Collegium had, on 11 January, recommended Ms. Malhotra and Justice Joseph for appointment as Apex Court Judges. Ms. Malhotra's elevation had been received with great pomp and joy throughout, as she was set to become the first woman Judge to be elevated directly from the Bar. Besides, it would also have been a timely addition to the Supreme Court, which has been functioning with only one woman Judge for the past three years. Justice R. Banumathi has been the only woman Judge in the Supreme Court since October 29, 2014 when Justice Ranjana Prakash Desai retired from service. Thereafter, it was reported last month that the Centre had now cited breach of seniority to block his appointment.